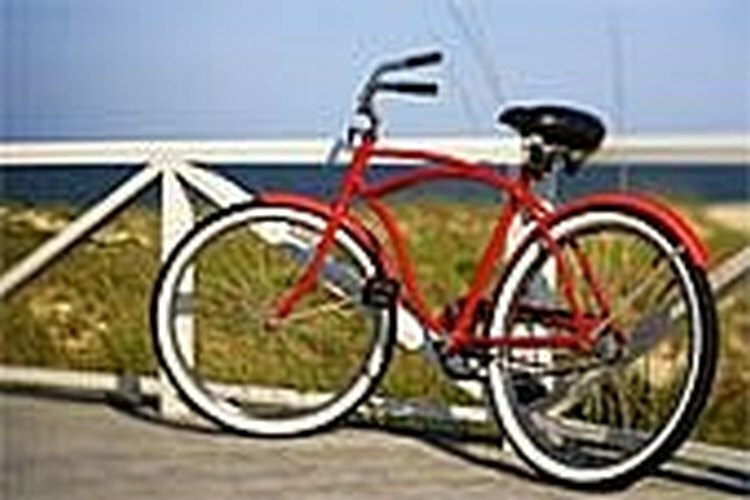 Biking can be a great way to get fresh air, exercise, time with your companion, and away from the television. With fuel prices it's also a great way to save money and do your part in going green. Knowing all of this, you might start thinking about purchasing a bicycle but how do you know which one to buy? There are so many choices. Know your needs: First you need to know what kind of riding you will be doing the majority of the time. How much time will you be riding? What is your main purpose for riding? Where will you be riding? How much do you want to spend? These are questions that you need to know before shopping. Where to buy your bike: Find a good, local bike shop. Yes, you can buy one at the large discount retailers but for service and quality a good bike shop is recommended. You will pay a little more but you will get personal attention and expert advice. They can even swap or add components on your bike at little or no cost, such as pedals or seats. You also will know that the bike has been put together properly. Test drive the bikes you like: If the dealer won't let you test drive them, leave! If he insists that you test them out, stay! Getting the bike that feels comfortable and rides good is important. You might need to try out a dozen bikes until your find that perfect fit. Research: There are many different styles and makes of bicycles on the market, so you will need to do a little research to find what you want and need. If you have decided on a specific bike, google the reviews and pricing on it. Make sure you are getting the best deal for your money. Good bikes will vary from $300 to $2500! Get advice: If you are buying a 21 speed and you aren't sure how to shift, ask! There are many elements that you may not understand such as quick-release operation, braking, maintenance, etc. Ask your dealer and get specific details on these questions. You might also consider joining a local biking club. Other equipment: You don't necessarily have to purchase helmets, riding gear, etc at the bike shop. If you do, insist on a better deal. Make sure you purchase a helmet and wear it! Especially if you are older and don't have the coordination and skill that you had in your youth. Have fun and enjoy your bike. If you spend a little more on your bike you will find that you ride it more. We purchased our new bikes from a local bike shop that takes old bikes and refurbishes them for our local Toys for Tots every Christmas. Yes, it's a good shop but their charity work was a major decision in shopping with them.